The Extreme X554 is a perfect 54″ x 36″, mid-size basketball hoop set on a 5″ squre pole, provides exceptional fun for the entire family. With a height-adjustable backboard from 6’8″ to 10′, you can practice slam dunks with the kids then crank it up to regulation height for a game with the dads. 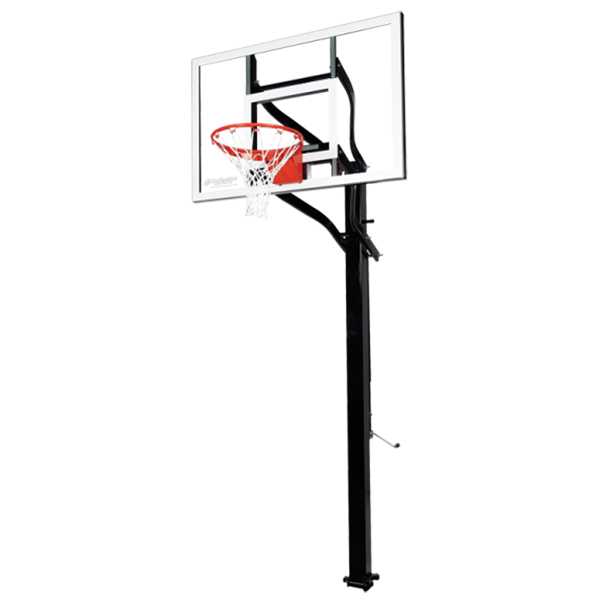 The Extreme X554 is a great first in-ground basketball goal, and because it can move with you, it may be the only basketball goal you’ll ever need! The exclused hinged ground-anchor system is designed for easy and safe installation. 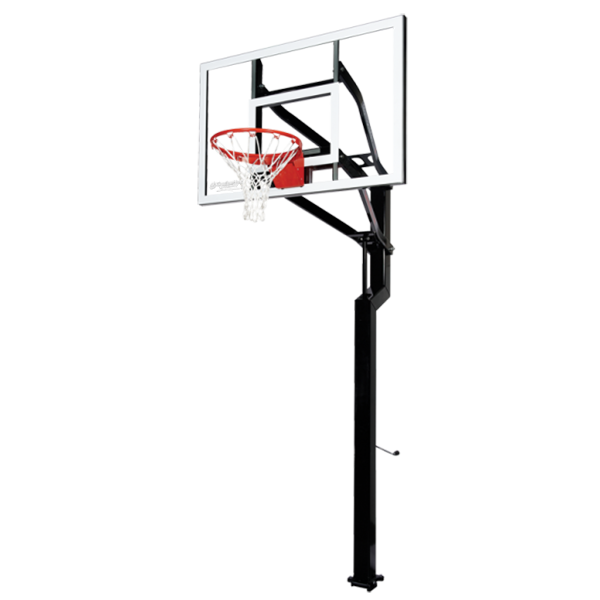 This basketball hoop is topped off with a fully tempered glass backboard and a 3-foot extension from pole to backboard, giving you plenty of room to play. Do you have questions or a pricing request? X554 Extreme Series Inground Basketball Hoop Subject to proper installation and normal, intended use, and subject to the limitations set forth below, Goalsetter Systems, Inc. warrants to the original retail purchaser that all structural components of Goalsetter Systems™ Signature Series*, Extreme Series** and GS Wall-Mount Series basketball systems are free of defects in material and workmanship for the duration of ownership by such original retail purchaser or five (5) years after discontinuation of the product by Goalsetter Systems, Inc..
LIMITED WARRANTY: Subject to proper installation and normal, intended use, and subject to the limitations set forth below, Goalsetter Systems, Inc. warrants to the original retail purchaser that all structural components of Goalsetter Systems™ Tournament Series Elite Plus and GS Baseline Wall Mount Series* basketball systems are free of defects in material and workmanship for a time period of five (5) years from date of purchase (b) Goalsetter Systems™ Junior MVP and GS Junior Wall Mount basketball systems are covered for a time period of two (2) years from date of purchase. Any warranty on a basketball system excludes the rim. Rim warranties are as follows: Rims shall be free from defects in materials and workmanship from the date of purchase as follows: R10126 Single Ring Static Rim: one (1) year limited warranty; R10226 Double Ring Static Rim: unconditional lifetime warranty; R10326 Heavy Duty Breakaway Rim: two (2) year limited warranty; R10554 GS Collegiate Breakaway Rim: one (1) year limited warranty. Padding Warranty: Padding shall be free from defects in materials and workmanship from the date of purchase as follows: Multi-Purpose Backboard Edge Padding: one-year limited warranty; Custom Fitted Pole Padding: one-year limited warranty; Wrap Around Pole Padding: one-year limited warranty. The Limited Lifetime Warranty and the Limited Warranty shall cover damage or failure that occurs during the course of NORMAL or INTENDED USE of the product. Normal or intended use shall be described as activity that is necessary for the participation in the sport for which the equipment is designed. NOT COVERED is damage caused by deliberate hanging, multiple player hanging, vandalism, nonbasketball activities or any other activity that could be regarded as abusive. Goalsetter Systems™ Junior MVP and GS Junior Wall Mount warranty voided if damage caused by the act of dunking. A limited lifetime warranty is effective for the duration of ownership by the original retail purchaser or 5 years after discontinuation of the product by Goalsetter Systems, Inc. The sole obligation of Goalsetter Systems, Inc., and the exclusive remedy under the applicable warranty, is repair or replacement of any component part determined by Goalsetter Systems, Inc. to be defective and covered by the warranty. Goalsetter Systems, Inc. will not be liable for any other damages or expenses. The applicable warranty is expressly in lieu of all other warranties, express or implied. Goalsetter Systems, Inc. does not assume, and no other person or representative is authorized to assume for Goalsetter Systems, Inc. any other liability in connection with the sale of Goalsetter System™ products. • Use in non-residential applications of Glass backboards on Signature Series systems. • Use in non-residential applications of Extreme Series and Tournament Series complete systems. • Junior Series breakage caused by the act of dunking. • Paint or rusted parts. Touch-up paint is included in all hardware kits. • Deterioration of product due to time or wear and tear. Normal deterioration of products due to atmospheric conditions, weather, wear and tear (including scratching or scuffing paint from normal use), or other causes that do not affect functional use are not covered by Goalsetter Systems, Inc. warranties. All warranties are valid only when product is used in the intended application & when installed according to Goalsetter Systems instructions. Warranty may be void if maintenance instructions in the Owner’s Manual are not followed. If you did not receive an Owners Manual, please call 1-800-362-4625 and one will be mailed to you. DISCLAIMERS: THE APPLICABLE WARRANTY IS EXPRESSLY IN LIEU OF ALL OTHER WARRANTIES, EXPRESS OR IMPLIED. AND ALL OTHER WARRANITES ARE HEREBY DISCLAIMED, INCLUDING BUT NOT LIMITED TO THE IMPLIED WARRANTIES OF MERCHANTABILITY AND FITNESS FOR A PARTICULAR PURPOSE. UNDER NO CIRCUMSTANCES SHALL GOALSETTER SYSTEMS, INC. BE LIABLE FOR ANY INDIRECT, CONSEQUENTIAL, SPECIAL, INCIDENTAL, PUNITIVE, OR EXEMPLARY DAMAGES OF ANY KIND. THE PRODUCT IS INTENDED TO BE USED TO PLAY THE SPORT OF BASKETBALL. ALL SPORTS INVOLVE RISK OF INJURY. THE USER ASSUMES ALL RISK OF INJURY RESULTING FROM THE USE OF THIS PRODUCT. ALL PRODUCTS ARE SOLD ON THIS CONDITION AND NO REPRESENTATIVE OF THE COMPANY MAY WAIVE OR CHANGE THIS POLICY. Some states do not allow the exclusion or limitation of implied warranties or consequential or incidental damages, so the above limitations or exclusions may not apply to you. LEGAL REMEDIES: This warranty gives you specific legal rights, and you may also have other rights which may vary from state to state. WARRANTY CLAIMS: All returns must be arranged through the Goalsetter Systems, Inc. dealer where the product was originally purchased. Warranties do not cover dealer service charges, labor charges, freight charges, and travel expenses associated with replacement, repair or removal of warranty items. Photos of the damaged product prior to any repair or clean-up actions must clearly show and permit analysis of the damaged product by Goalsetter Systems, Inc. A Goalsetter® Warranty Claim form must be completed, and photos submitted, together with proof of purchase, for any item you wish to claim under warranty. If the purchase was not made through a dealer, this form is available by email, fax or mail. In response to your claim, you will receive an order confirmation as well as a notice stating whether Goalsetter Systems, Inc. needs your warranty item returned. Goalsetter Systems, Inc. will notify you by fax or phone if we determine that the item cannot be claimed under warranty. Goalsetter Systems, Inc. is not responsible for any charges for labor to install or repair defective product without prior authorization. Goalsetter Systems, Inc. will determine the most economical method to either repair or replace product before any work is to commence. GOALSETTER® and GOALSETTER BASKETBALL logo are registered trademarks of Goalsetter Systems, Inc. in the United States. GOALSETTER SYSTEM and BEST IN BASKETBALL are trademarks of Goalsetter Systems, Inc. 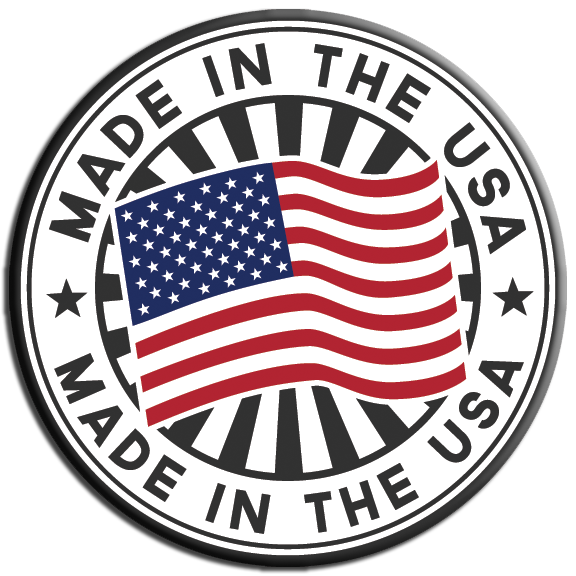 This product is covered by various U.S. and Canadian patents, including U.S. Patent #5,211,393. Patent infringement will be prosecuted. The external tension height adjustment mechanism is a rugged, high-quality system with the greatest adjustability range among similar height adjustment mechanisms used in the market by competitors. The ultra-reliable system is used for the straight poles of Goalsetter’s Extreme Series. The exclusive hinged ground-anchor system enables complete assembly of your basketball goal by 2-3 persons without ladders and a scaffold prior to raising it upright. A 42″ square steel anchor placed in the gound provides unmatched stability and durability.